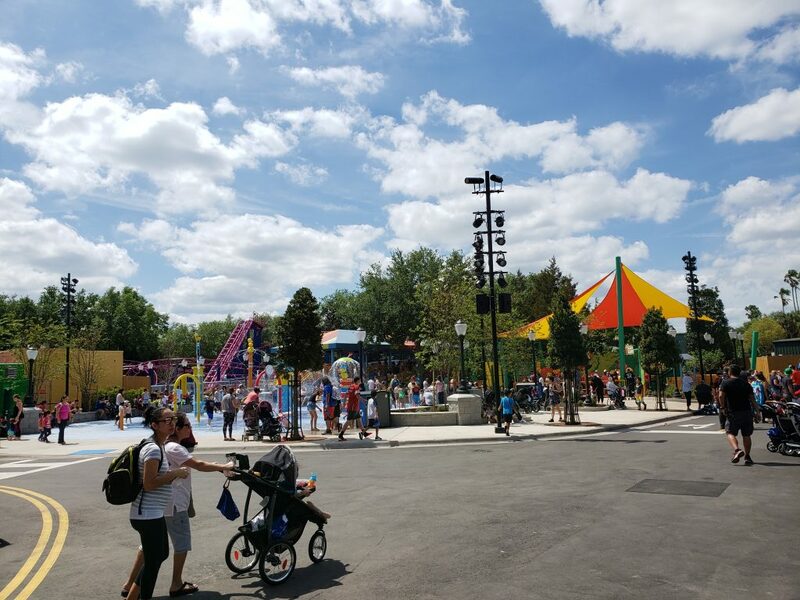 Walking into the new area! 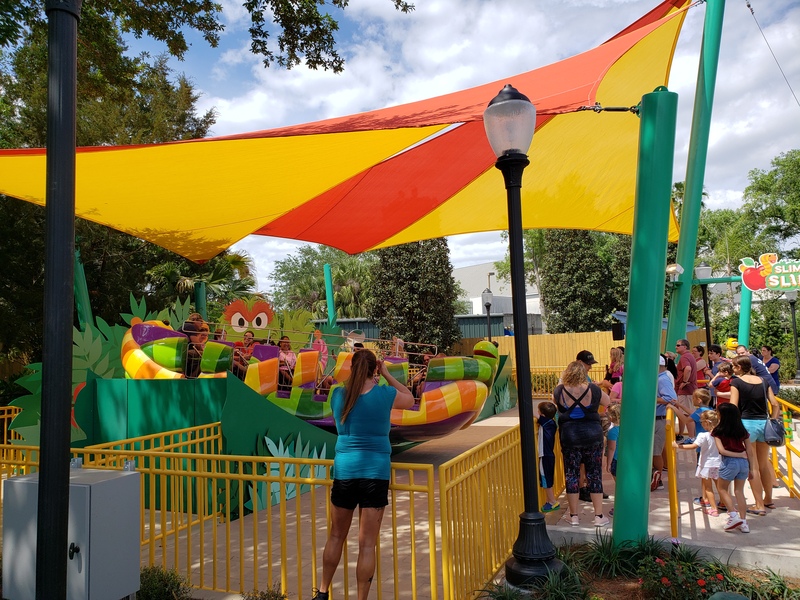 Formerly Shamu’s Happy Harbor, the lovable Sesame Street crew gave Sea World’s designated kiddie area a substantial overhall! 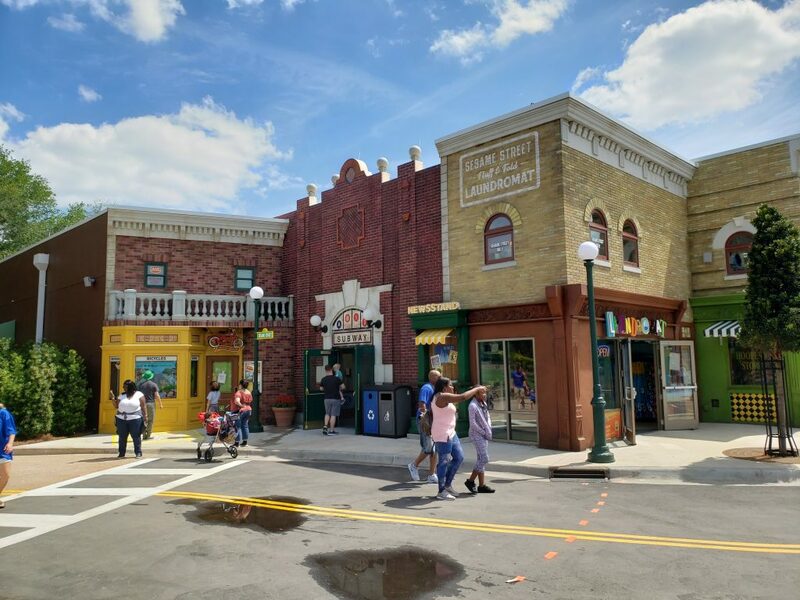 Rather than just feature Sesame Street characters (as other Sea World parks have done), Sesame Street at Sea World features a full recreation of the fabled NYC street. 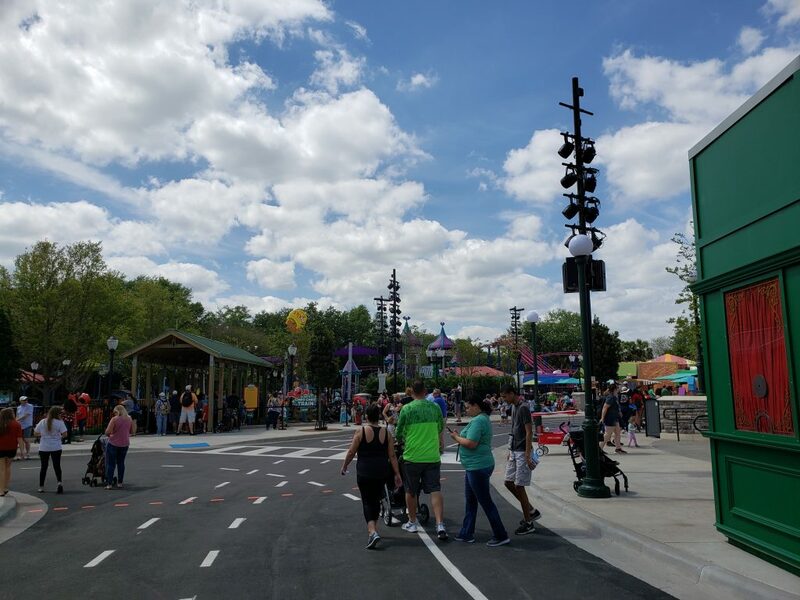 There were lots of folks here to check out the new area on Passholder Preview! 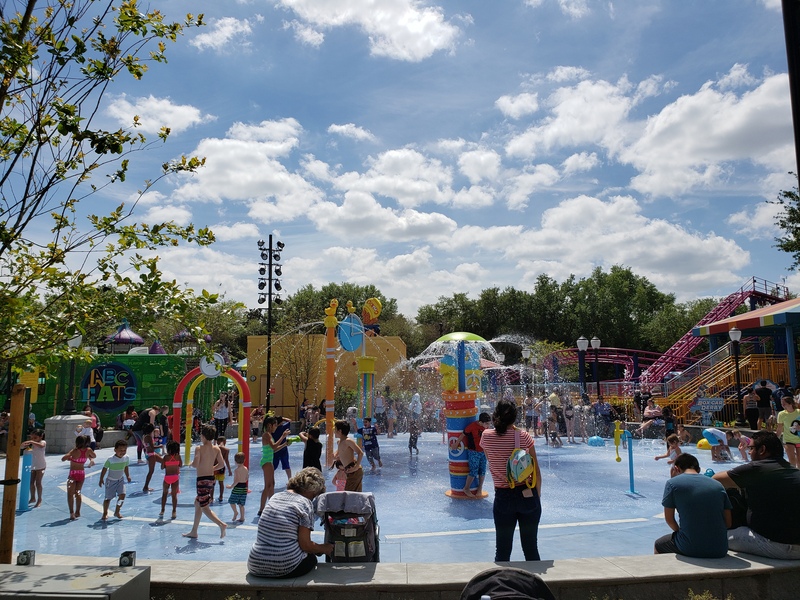 Perhaps the most popular new attraction is Rubber Duckie Water Works, a perfect attraction for those hot, busy days at Sea World! 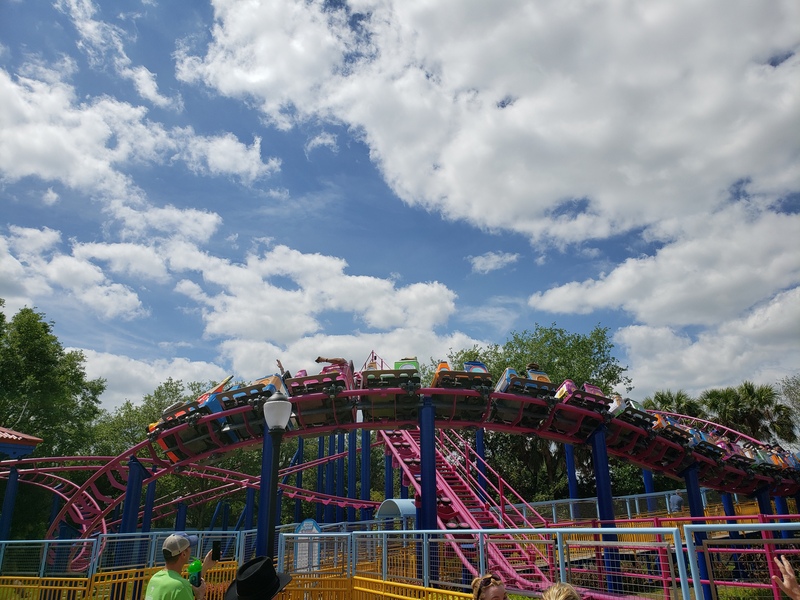 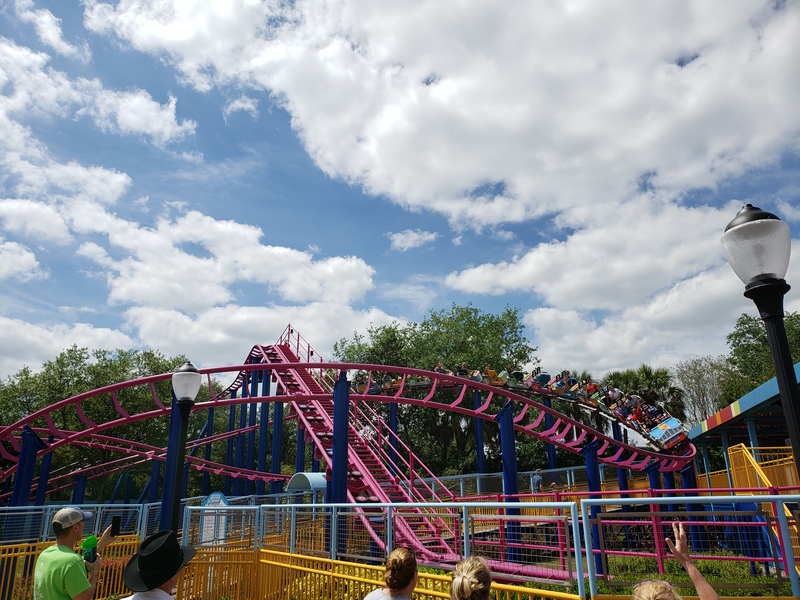 Shamu Express has been rethemed to Super Grover’s Box Car Derby! A fresh paint job and remodeled trains make this 2006 Zierer coaster look good as new! 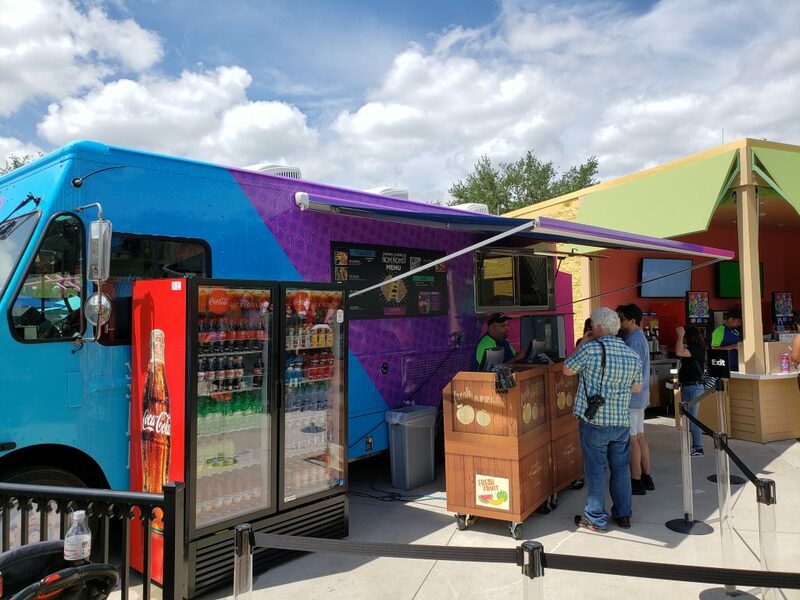 Eats on the Street is a permanent food truck set-up that features great, healthy food options for kids and parents alike. 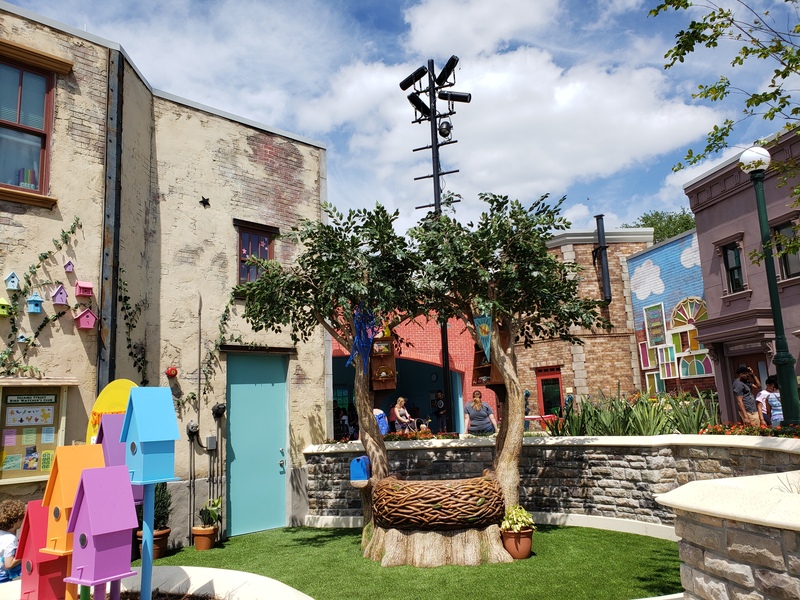 Fans old and new of Sesame Street will find lots to do as they explore the remarkable recreation of one of TV’s most beloved environments. 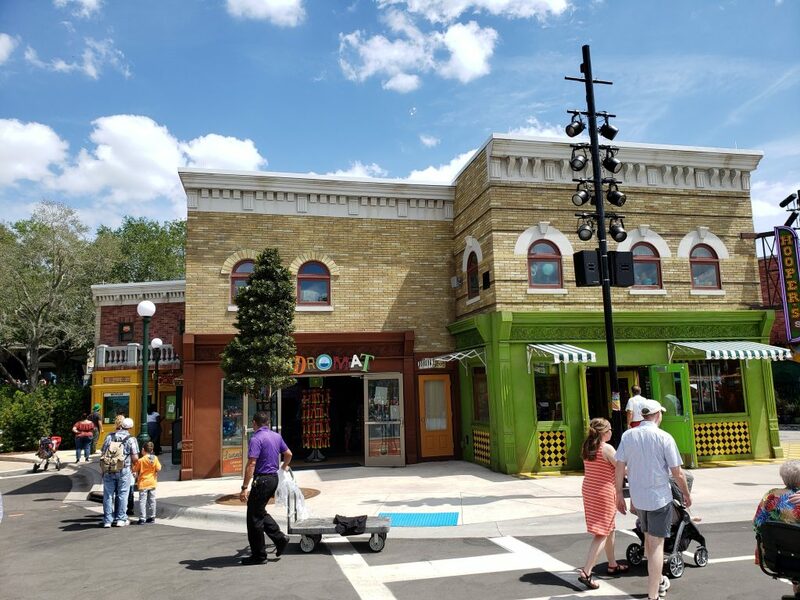 Mr. Hooper’s store is a wonderful theme element as well as a cleverly-integrated retail experience for Sesame Street! 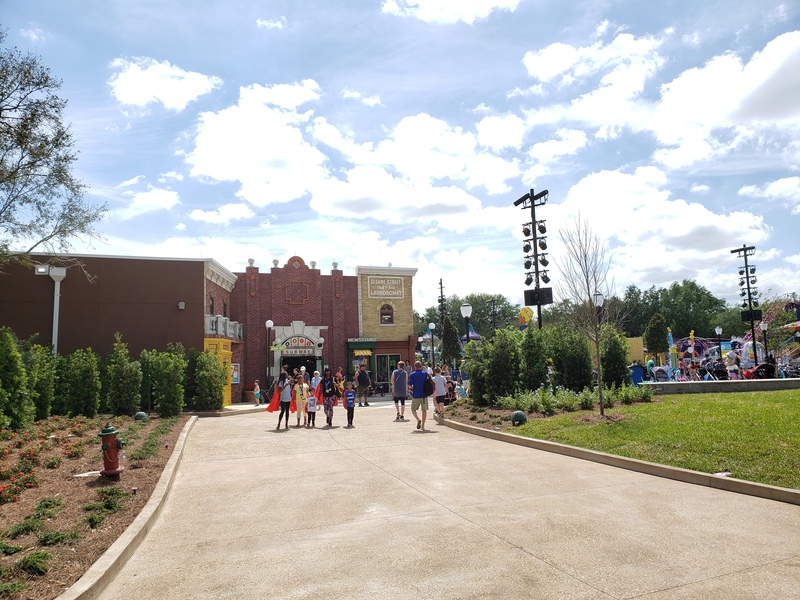 Detailed sets and play areas aside, there’s also plenty to ride at Sesame Street! 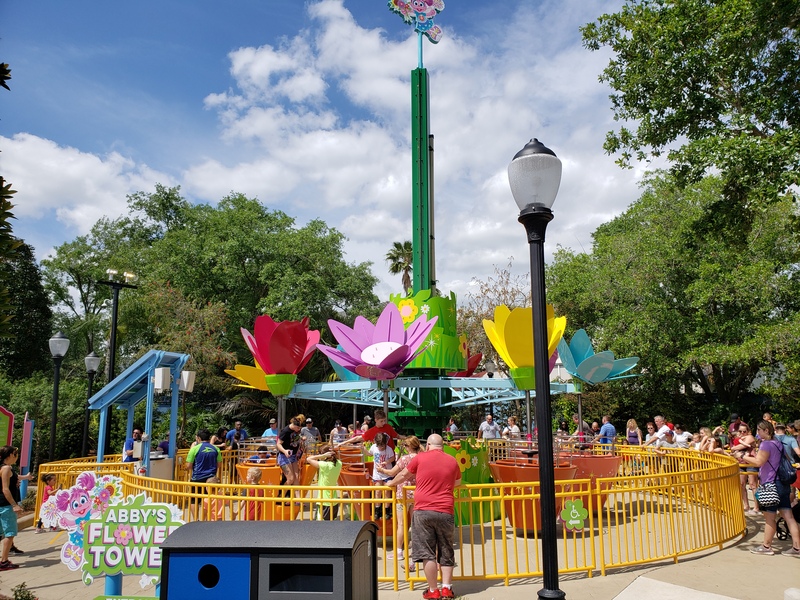 High in the sky is Abby’s Flower Tower! 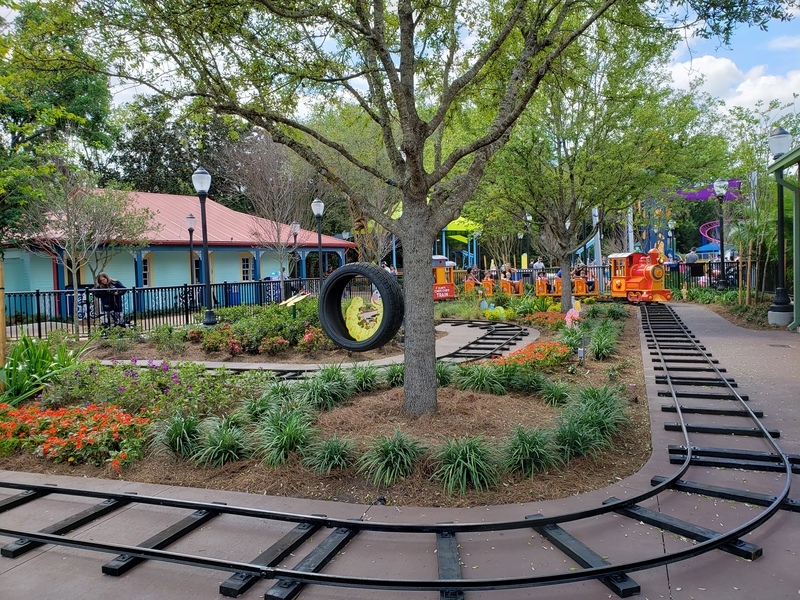 The Rock ‘n’ Tug from Happy Harbor is back, this time themed to Oscar the Grouch’s wormy best friend, Slimey! A big new signature attraction for the area is Elmo’s Choo Choo! 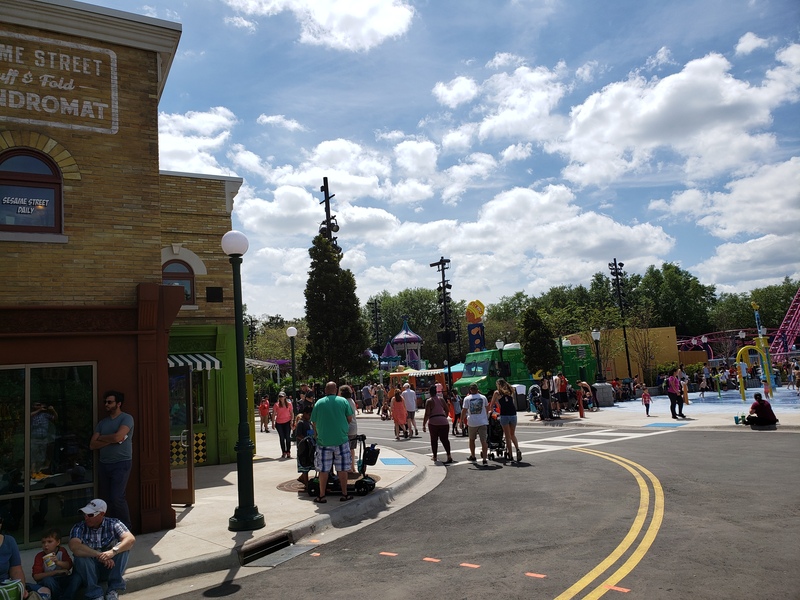 Character meets can be found all over there area – here we have Bert and Ernie! 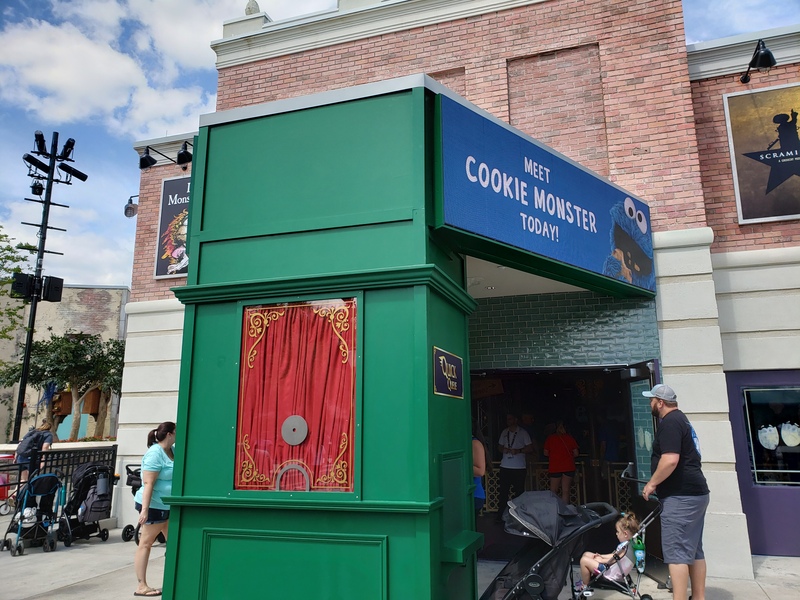 And inside the theater we have Cookie Monster! 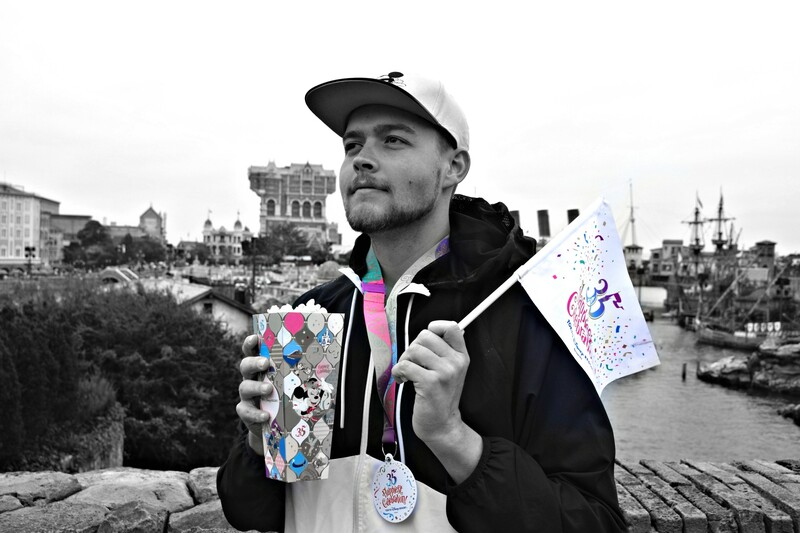 That about wraps up our update! 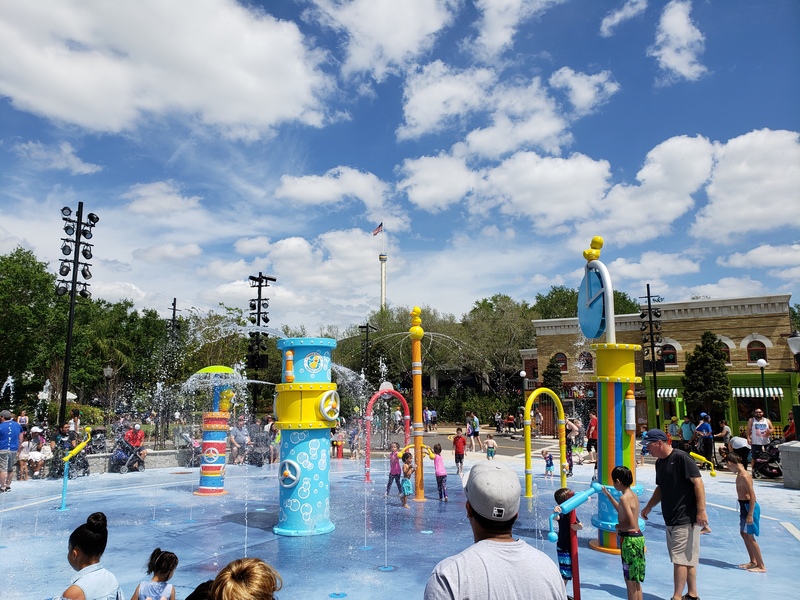 Let’s go splash around for a bit! 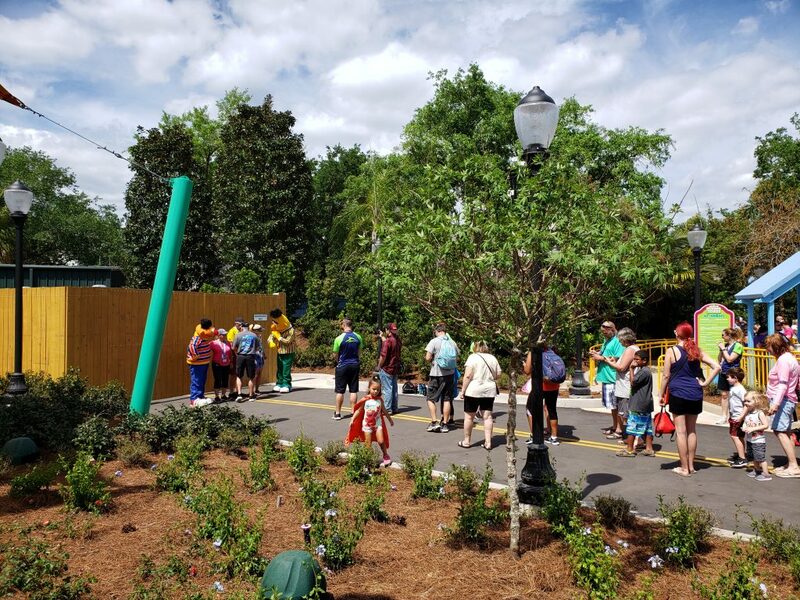 Sesame Street at Sea World opens to the public on March 27, but passholders can get in on the action right now!